Growing up, I read absolutely every mystery/ghost story in my tiny town’s public library. I have tried to hook my daughters into the lure of a good mystery--and I thought that reviewing the new, young adult, paranormal themed, Food for a Hungry Ghost by Becky M. Pourchot may just do the trick. Well? Are my girls eagerly awaiting the next book in Pourchot’s Hungry Ghost book series? A quick summary of Food for a Hungry Ghost by Becky M. Pourchot. 15-year-old Gala Rhyce and her 10-year-old brother are uprooted from their Wisconsin home to a Florida beach town by their artist mother. Gala must not only make new friends and adjust to the new town--but, she must also effectively deal with a new, unexpected friend: the ghost of the 16-year-old daughter of the owners of Gala’s rental house. This short, fast paced book is divided into three parts that sum up Gala’s first ghostly encounter in Pourchot’s Hungry Ghost Series. 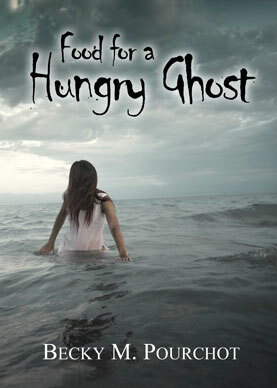 Food for a Hungry Ghost by Becky M. Pourchot is a well written, fast paced ghost tale--perfect for young adults--and advanced tweens. My middle daughter found herself a little caught up in the vocabulary in the first few pages--but, flew through the rest of the book. Food for a Hungry Ghost has everything a “tweenage” girl loves: mystery, romance, drama, and a heroic, female main character. As a parent reading over a tween’s shoulder--I was actually impressed with Pourchot's work. Pourchot weaves a well written tale that moved quickly--but did not defy logic and reason--for those believing in ghosts and the paranormal. This was a short book that packed a ton of content. I was impressed with the amount of detail and action that Pourchot was able to fit into Food for a Hungry Ghost. The characters were well developed. The plot was logical and flowing. I honestly did not feel that I was missing anything in this book of less than 75 pages. Final thought on Food for a Hungry Ghost by Becky M. Pourchot. I actually enjoyed the book much more than I expected--as did my two older daughters. I enjoyed the main character--and cannot wait to read along on her upcoming adventures. Did I finally find a book series to draw my girls into ghostly tales? I think I may have hooked at least one daughter--if not two! I would definitely recommend Food for a Hungry Ghost by Becky M. Pourchot to my readers with young adult children--or even mature tweens with higher reading levels. I will be honest--for adults looking for an easy, fun evening read--I think Food for a Hungry Ghost is a winner with them also! 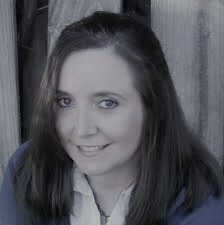 Visit Becky M. Pourchot’s Author Page. 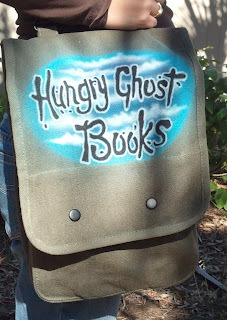 Don’t forget to enter to win the $25 Amazon Gift Card andHungry Ghost Books Messenger Bag Giveaway. 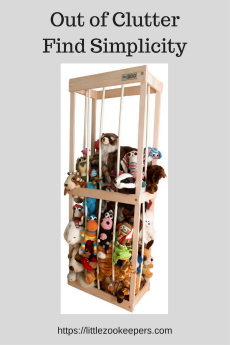 After reading this book--my girls and I REALLY want this bag! Disclosure: I received a complimentary e-book to use in this review--but, I was not asked for a positive review--just my honest opinion.